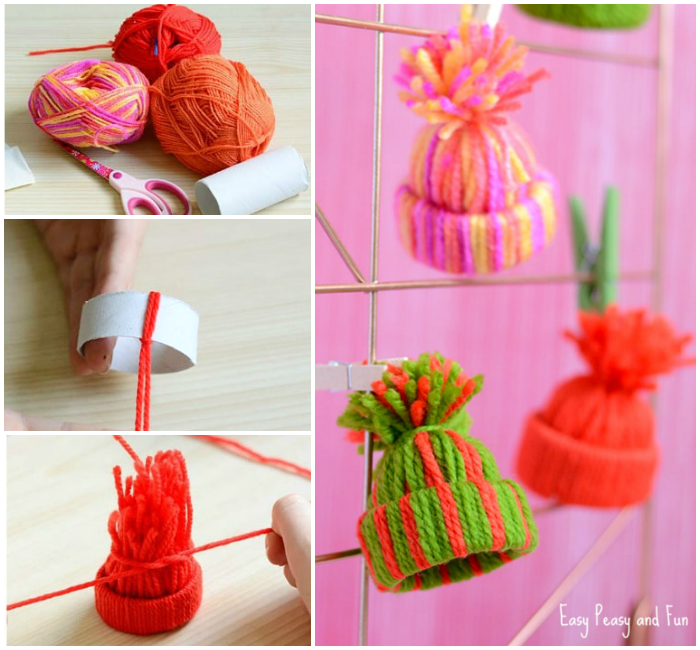 If you are looking for the cutest DIY Christmas ornament ever you just have to give these mini yarn hats ornaments a go. 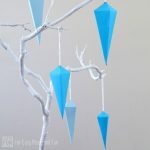 Super easy to make and they look amazing! Once you get started with these you just won’t be able to stop. 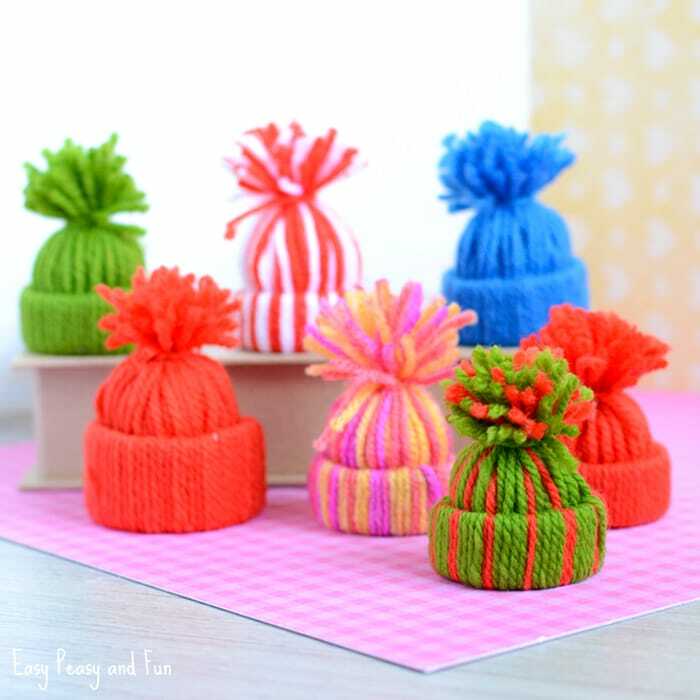 Not to mention they look fancy as doll hats too! We’ve been meaning to make these for years and this year we finally did. 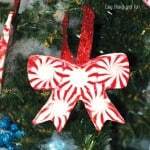 We love making our own Christmas ornaments, each year adding more and more unique designs (such a fun tradition to have). 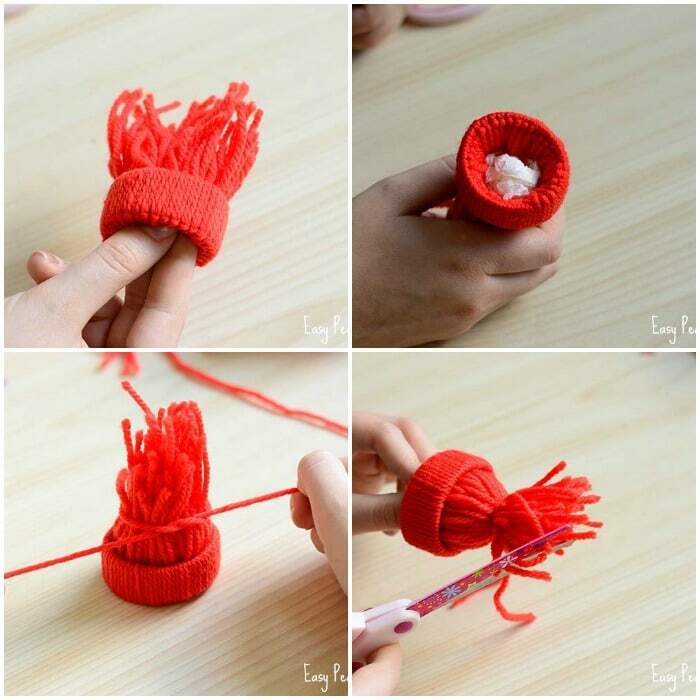 Start by cutting yarn into threads. 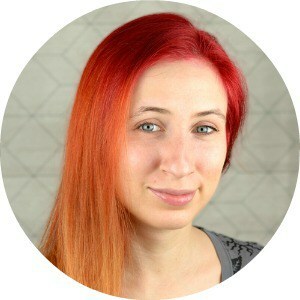 You’ll need plenty of threads, all with equal lenght, the length depends on the width of your paper roll – so you’ll have to find the perfect lenght for yourself. You can start with cutting 1 thread and trying it out. Cut the paper roll, you only need a thin “ring”. 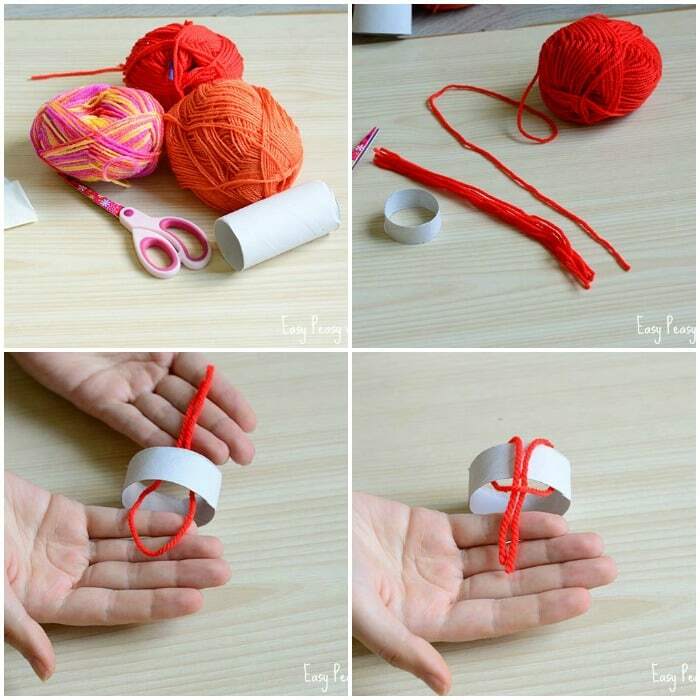 “Fold” the yarn thread in half and push the “loop” side through the paper roll. Now take the other end and “fold” it over the paper roll and into the loop. Pull to get a knot. Rinse and repeat until you have all the paper roll covered with yarn. Once all is covered you will need to push the yarn through the paper roll. I found the easiest way to do that is to “twist” all threads and just push them through. Roll a small ball out of tissue paper. 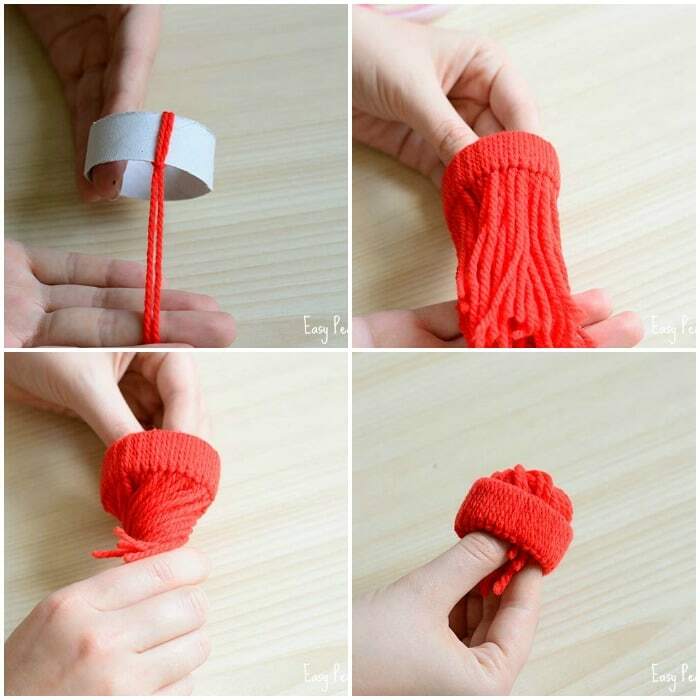 Push it into the paper roll – this will help you get the perfect hat shape and keep the yarn in place. Now all that is left to do is to tie a knot around the threads to get a nice hat shape and trim the pom pom to get a nicer shape. 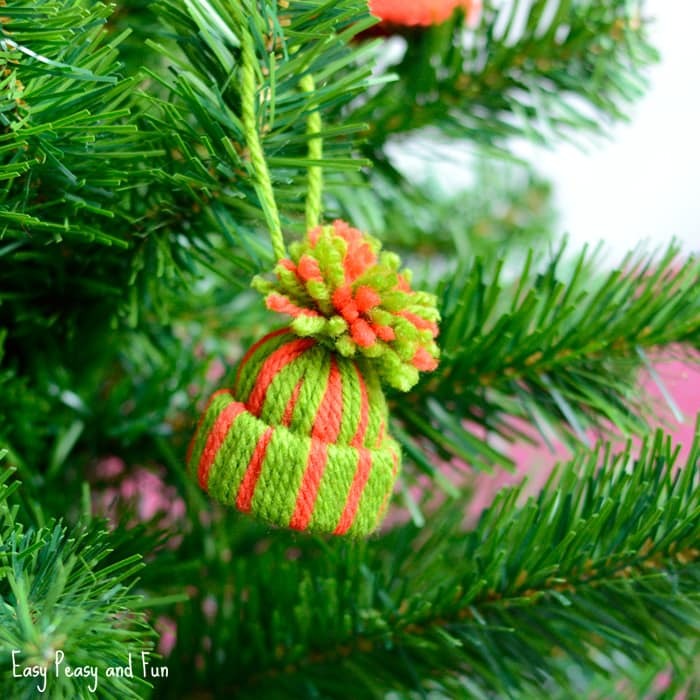 If you want to display these Mini Yarn Hats Ornaments as Chrsitmas tree ornaments, tie some yarn under the pom pom and make a loop. I made my First Yarn Hat! ? it was fun and easy! I’m hooked. I to have made my first yarn hat.MERRY CHRISTMAS!!! 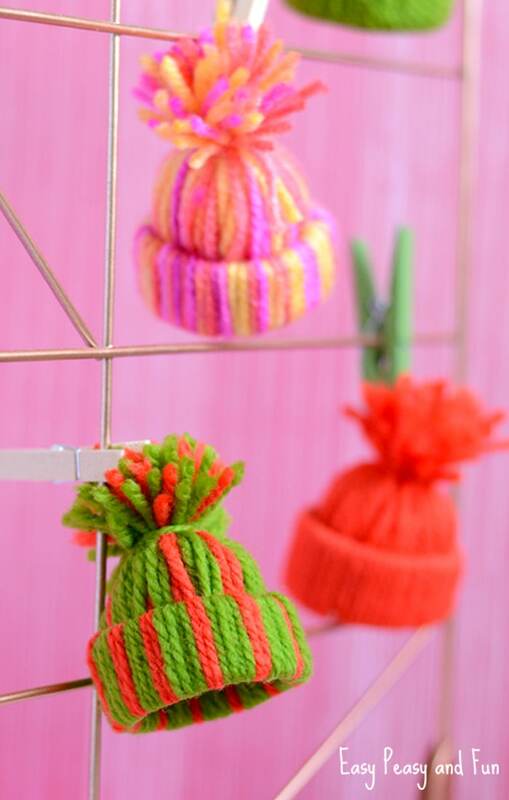 Made my yarn hat….so cute.. 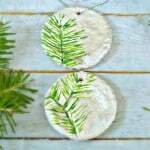 I am making these to donate to a domestic violence shelter that is having a craft fair fundraiser. How much do you think we could for a donation these? 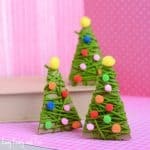 THIS IS A CUTE CRAFT THAT MY DAUGHTER IS GOING TO LOVE!! I made mine also, one thing, do you leave the tissue in the hat? It didn’t say to remove it. It will keep it’s shape better if you leave them in, but won’t fall apart if you take it out. You could also fix it with modge podge or similar and then remove the tissue. What a fun project. 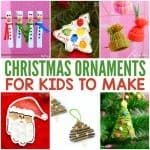 I do a Christmas craft with two of my neighbours children each year. I just finished three of them and enjoyed doing them. 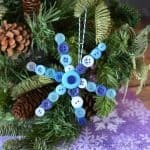 These also fit perfectly on bottles as either wine bottle toppers or other bottles…..Make them in your favorite sports or school colors and give as gifts.